The London Film Festival typically includes at least one documentary shedding light on some sort of terrible injustice. Previous years' highlights have included The Central Park Five, West of Memphis and The Kill Team. One of my favourites was actually the much-maligned Conviction - not a documentary, but a real life story, which I reviewed here. 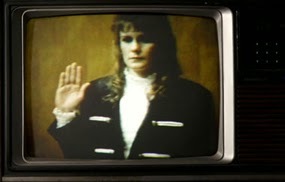 This year the trial of Pamela Smart is put under the microscope. In Captivated: The Trials of Pamela Smart, director Jeremiah Zagar posits that the trial - the first in America to ever be fully televised - was corrupted by months of media speculation before it began. It is worth noting that in the UK, Contempt of Court laws would have rendered almost all of that coverage illegal for the precise reason that it could compromise the trial process. Click here to read my review of the film.